We’ve been hopping in and around Cape Town now for the past two months. We’ve spent our time gallivanting in and out of cafes, hiking various points, and eating a plethora of extremely delicious food. However, there is a side of it that you haven’t seen. The side that explains why we are in this gosh darn city so long. That side is the work, preparation, and planning of our entire African trip. Between the adventure activities and the sushi lunches, we have actually been hard at work in front of our computer and making countless runs to the Department of Transport trying to obtain a car to overland Africa in. So, when the opportunity arose for us to have a luxurious and relaxing weekend in Cape Town we jumped with joy! 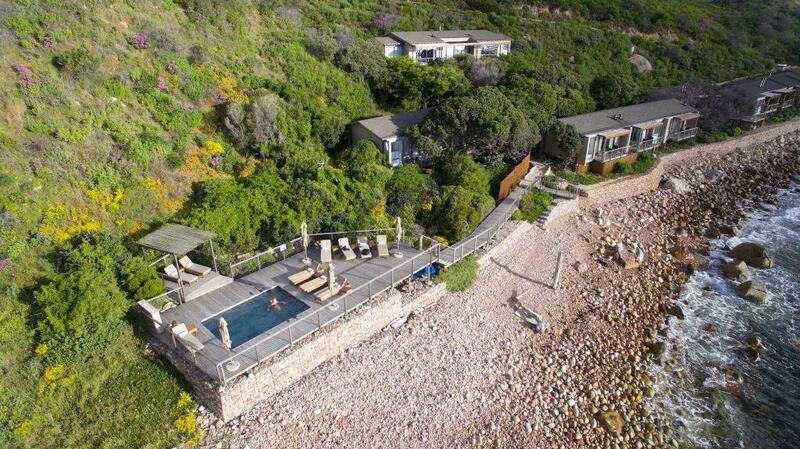 We made our way to Hout Bay to start the weekend off right at the beautiful Tintswalo Atlantic. 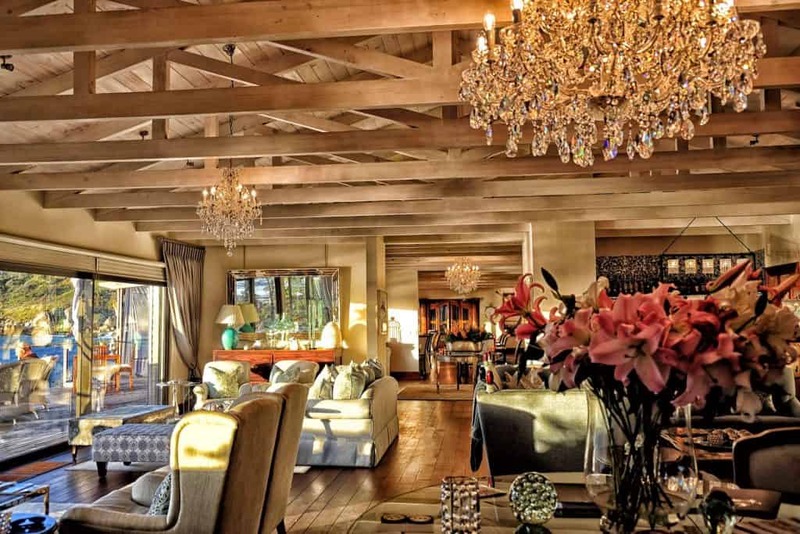 If luxury has a name in Cape Town, then it’s definitely Tintswalo. 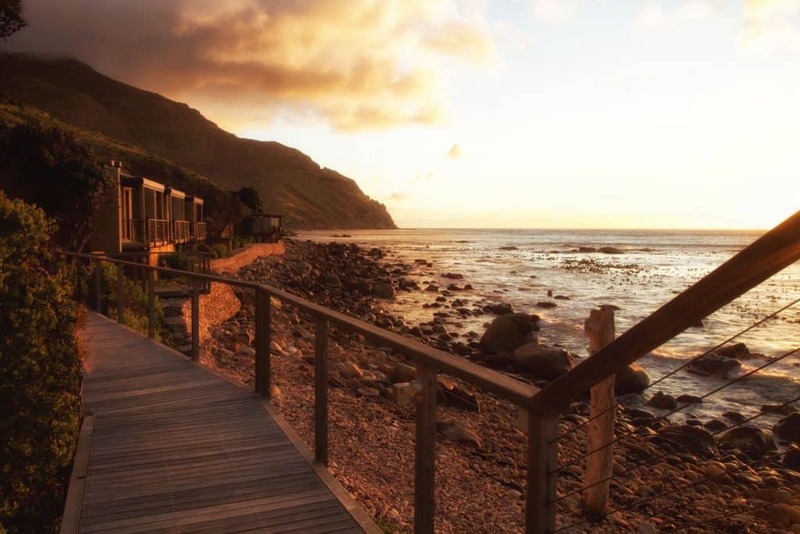 The Tintswalo Atlantic is known as Cape Town’s “hidden gem” as it is hidden within the Table Mountain Nature Reserve, hidden just below the famous Chapman’s Peak drive. As an outsider, you can barely see the property unless you are looking for it. We knew we were in for a secluded weekend when we parked our car at the drive and we have soon whisked away down to Tintswalo Atlantic. We made our descent to the shores and arrived in tranquility. With a greeting of fresh lemonade, smiles, and the sounds of the ocean waves we immediately forgot our current worries. 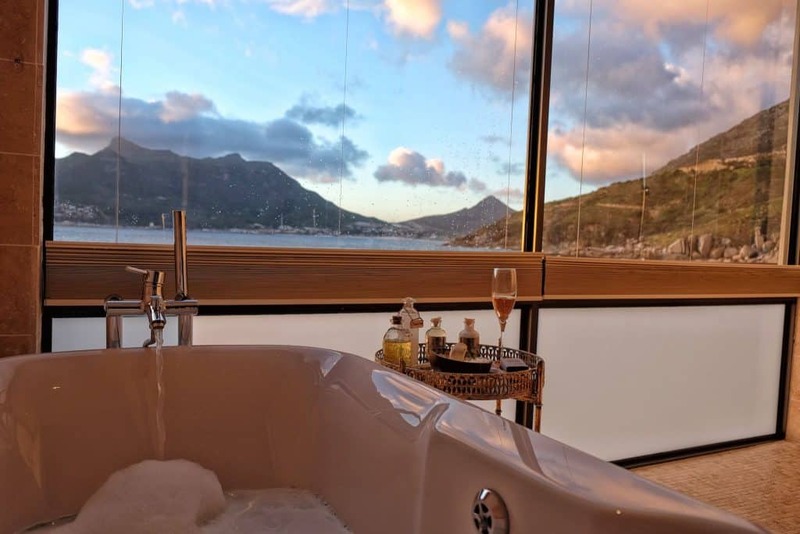 There are only 10 Island Suites and one Presidential Suite at the Tintswalo Atlantic and they are all named after islands around the world. We were shown to Robben Island – the only South African island represented at Tintswalo. For those that don’t know Robben Island is where Nelson Mandela spent 18 years of his life in prison. So fittingly enough the room was decked out in the classiest prison memorabilia and Mandela portraits we had ever seen. Each island room here features a massive bathroom, fireplace, cloud-like bed, and of course every room faces the ocean. Every night and morning can be spent listening to the smooth sounds of the sea carrying you away. It’s safe to say that this is one of the most characteristic rooms we have ever stayed in. Stepping into the giant bathroom that I mentioned feels like what Queen Elizabeth may get ready in each morning. The toilet is conveniently hidden down a long, but open corridor. There are his and her sinks complemented with dozens of seashells and deluxe soaps and toiletries. Then I saw it, the bathtub overlooking the sea. Next to the tub was all the salts, bubbles, and oils I could ever want to relax in. I don’t get to take baths often, so I knew this was going to be heaven. We stay in a lot of rooms and it’s pretty hard to get excited about a hotel room, but believe me when I say it was easy with the Tintswalo Atlantic. I still haven’t gotten to the best part, and that is the patio overlooking the ocean, Hout Bay harbor, and Sentinel Peak. This is where we spent the majority of our time. Relaxing, reading, and overlooking the stunning Cape. Every suite here has a balcony and is only steps from the ocean. The sun sets over Sentinel peak every day and the beauty is something I will always remember. Each evening just as the sun is setting guests can make their way to the charming and characteristic lobby to mingle and have canapés The main building is also where dinner is served every night. After dinner, guests can relax next to a large fire while relaxing (or dozing off) to the sound of crackling firewood. Room service is also available if guests don’t want to leave the comfort of their room for the night or have a romantic evening in. We got so caught up with the sunset one night that we couldn’t be torn away from Robben Island. The wonderful staff at Tintswalo graciously brought us some snacks to the room without us even asking, so that we could catch the views with no stresses. We were incredibly impressed by the attentiveness, care, and mood of every single staff member at Tintswalo. Every member here cared about making each and every guest happy from morning to night. My favorite personal touch was the messages written in seashells we received every day from the housekeeping staff, had me smiling every time! 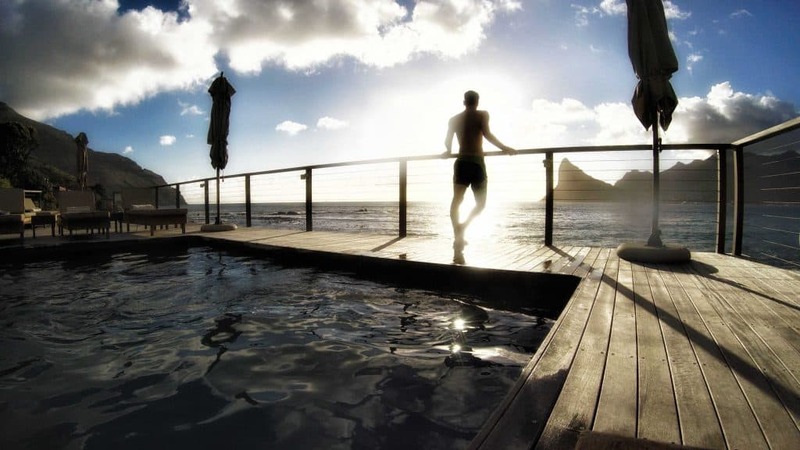 Besides hanging in the room, the Tintswalo has an amazing heated pool at the end of their boardwalk. We had two beautiful days to get tan by the pool and enjoy some of their signature island-themed cocktails served. Now, we knew when we got to Tintswalo that we just wanted to hang out and lounge around the property the whole time in complete relaxation. 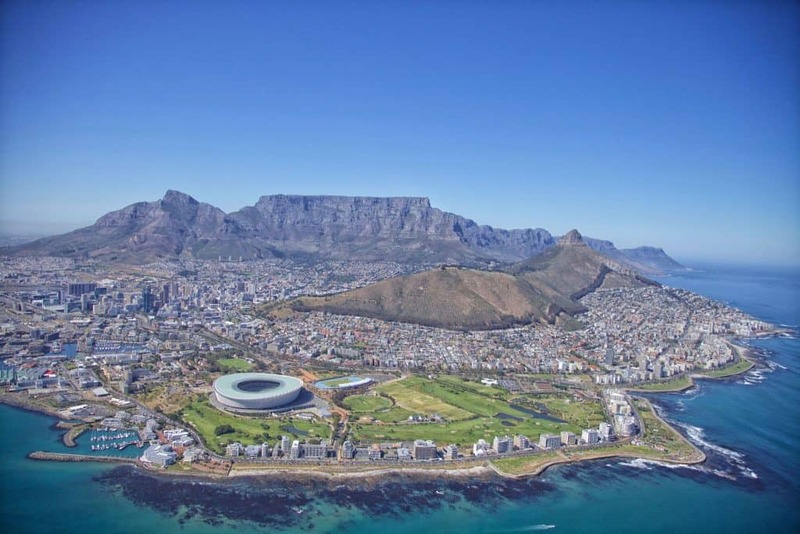 We had been exploring Cape Town for almost two months prior, so we have checked off many of the bucket list items. 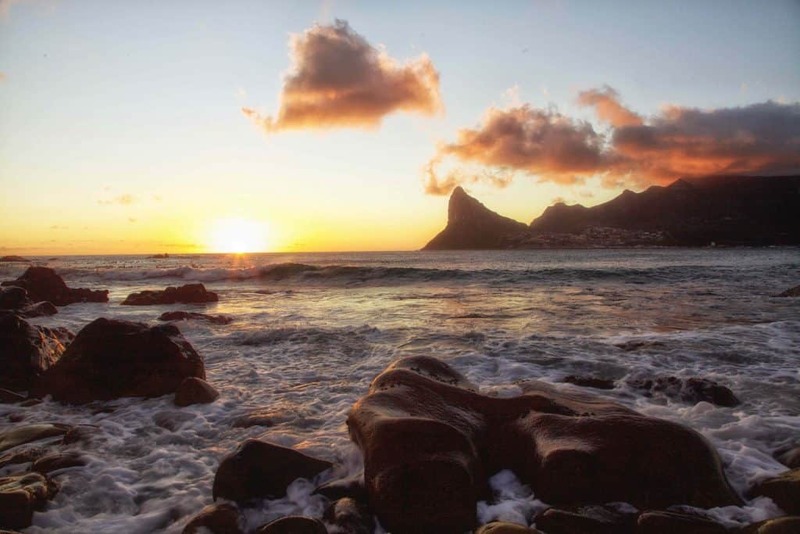 The Tintswalo Atlantic was the perfect location for those wishing to explore the “Mother City” and her surroundings. 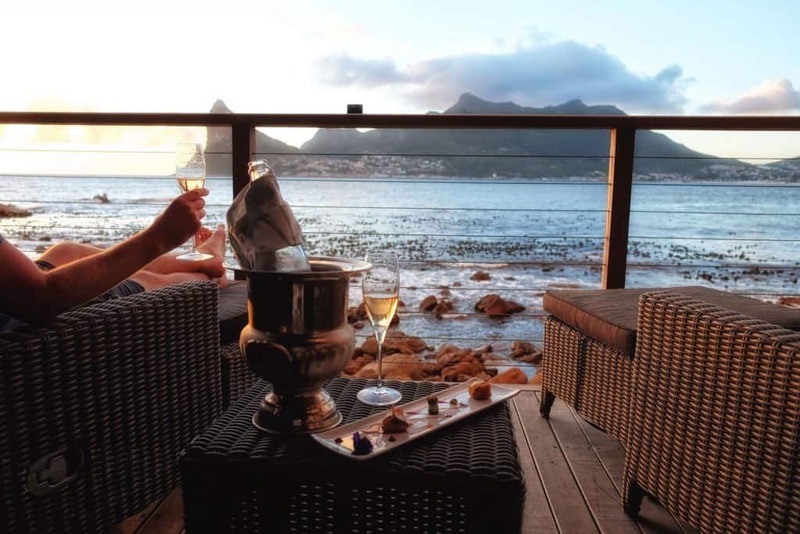 If you are looking for a place to celebrate your honeymoon in Cape Town, you can’t go wrong with this place. 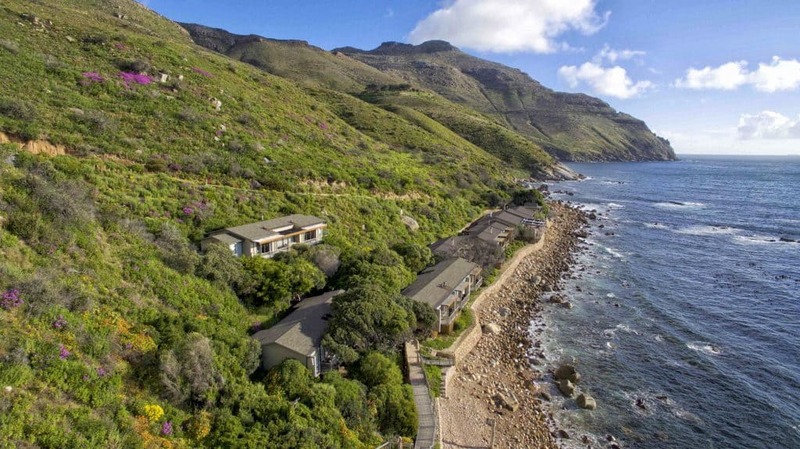 As Tintswalo is located at the foot of Chapman’s Peak, visitors are just a drive away from the top attractions around. 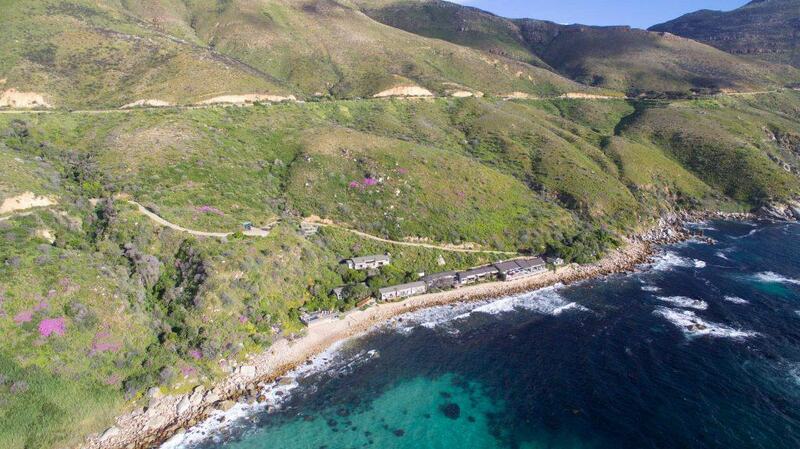 The fishing town of Hout Bay is a close 5-10 minute drive away, as well as the most picturesque Chapman’s Peak Drive. After a wonderful couple days in paradise, our time at Tintswalo had come to an end. We didn’t want our luxurious weekend to end there though! 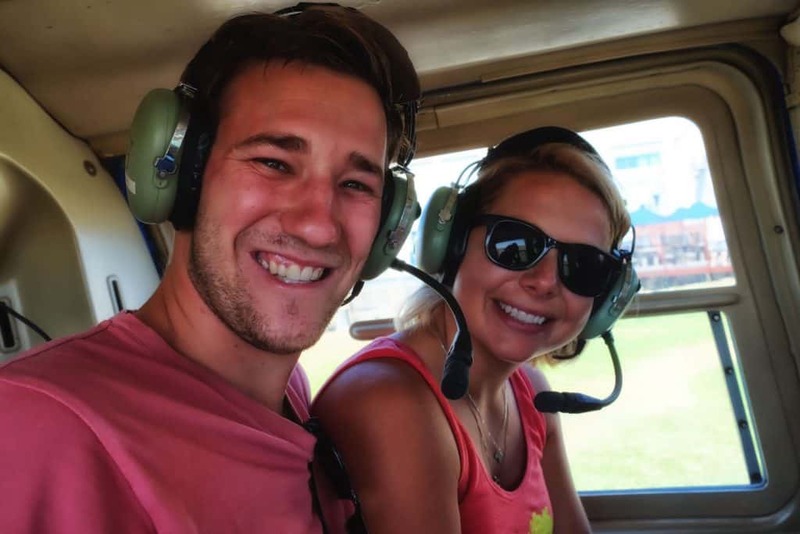 So we decided to take a helicopter ride over Cape Town for the best views of the city! We’ve each have been wanting to ride in helicopter ever since we were teased in the Seychelles earlier this year. We finally got the opportunity on our luxury weekend with NAC Helicopters. Although we have been in the city a few months now we realized we still hadn’t seen Cape Town at her best. So we decided to take the Atlantico tour with NAC Helicopters which would take us around the main part of Cape Town and over to Hout Bay. Seeing the city from 2500 feet up was a breathtaking experience. I’m not so sure there is a better city in the world to see by air. The mountains, city bowl. and crystal clear waters all together doesn’t even look real and is something that should be seen in person by everyone traveling to Cape Town. While taking these striking views in I couldn’t help, but think what the Dutch were thinking when they first arrived in this part of the world. Surely, without all the buildings that are currently there they had to know they were viewing one the most beautiful parts of the world? I guess I will never know what went down when the Dutch arrived, but I’m going to envision them having a braai on top of Table Mountain and declaring Cape Town paradise. We were sad when our flight was over, but those babies take a lot of fuel! To ease our sadness the staff at NAC brought us two glasses of bubbly to enjoy. Ah, this weekend of luxury seemed to never end. We strolled along the V & A Waterfront until it was dinner time. 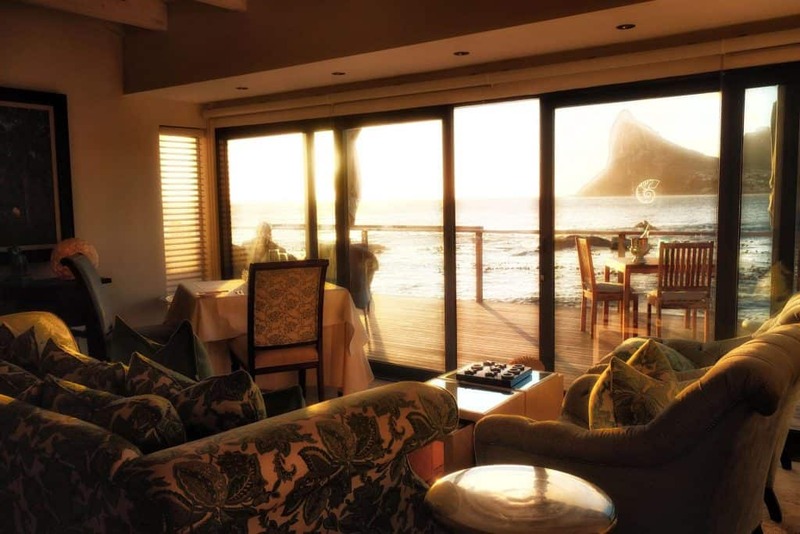 When you are seeking out a romantic meal for two in Cape Town the restaurant possibilities are endless. Being here two months we have tried at least one restaurant in just about every part of Cape Town. From Reuben’s to Gold Restaurant, to Salushi in Claremont we went all over in search of all the great cuisine. On this particular luxurious weekend we were both craving sushi, so we made way to Sevruga Restaurant on the waterfront and finished the weekend off with a mountain of creative and funky rolls. Thank you to the Tintswalo Atlantic and NAC Helicopters for hosting us, as always all opinions are our own. 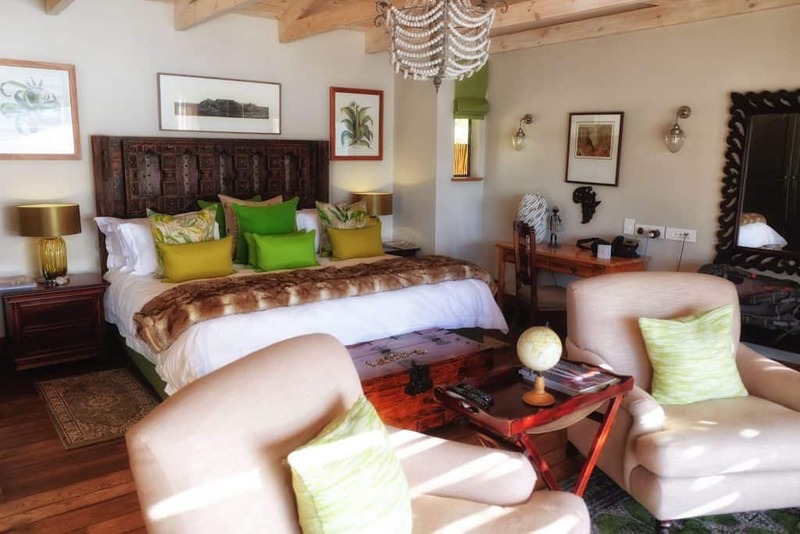 Accommodation in Cape Town: Book your room at the Tintswalo Atlantic here!